Directed and written by Ti West. Produced by Jason Blum, Jacob Jaffke, and Peter Phok. Release date: October 21, 2016. Just last month, we saw the release of The Magnificent Seven remake. While it was okay, it paled in comparison to its predecessor(s). Do you want a better Western? Look no further than In a Valley of Violence, which coincidentally also stars Ethan Hawke - he was one of the "seven," too. It's a lower budget movie, but it's more fun and works well as an homage of Westerns of old - but never crosses the line into outright parody. Oh yeah: it's also essentially the Western version of John Wick. Hawke stars as Paul, a drifter who deserted from the military for reasons that belong to him and perhaps his dog, Abbie. They travel the countryside together, never trying to stir up trouble but also just barely getting by. In a town Paul stops at to replenish his supplies, he garners the attention of the local Deputy, Gilly (James Ransone), who challenges Paul to a fight. Gilly loses. Easily. Paul leaves town quietly upon the suggestion of the Marshal and Gilly's father, Martin (John Travolta), who promises that as long as he doesn't see the drifter again, there will be no more trouble. Gilly has other ideas. That night, Gilly and a few of his friends find Paul's campsite, leave him for dead, and murder his dog. 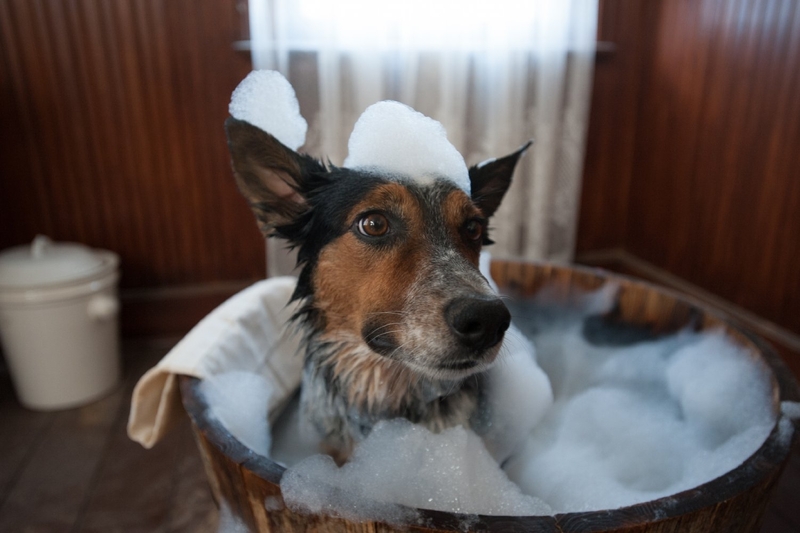 You do not mess with a man's dog, especially when that man's only friend is that furry animal. Paul survives, of course, and the rest of the film is dedicated to Paul hunting down and killing every single one of the men who wronged him. But instead of stylish over-the-top action scenes, we get Western-style shootouts, and also one or two stealthy kills. There isn't a whole lot more to In a Valley of Violence. It's a simple story that's told well. It doesn't contain a ton of excess or give you much to think about. We've got our hero, he has sufficient reason to hate the villains, and the movie just lets the two sides battle it out. What sets the movie apart is its sense of humor, which is absurdist and ironic. It isn't a movie that takes itself too seriously, which works in its favor. Westerns can sometimes get stuffy in their stoicism. In a Valley of Violence is the Western John Wick, which turns out to be a better combination than it might initially seem. Is the action great? It's fine, and at the very least it allows you to tell what's going on most of the time - a philosophy from which many action movies can learn. But the greatest parts of In a Valley of Violence are the points at which it focuses on its characters and their interactions with each other. 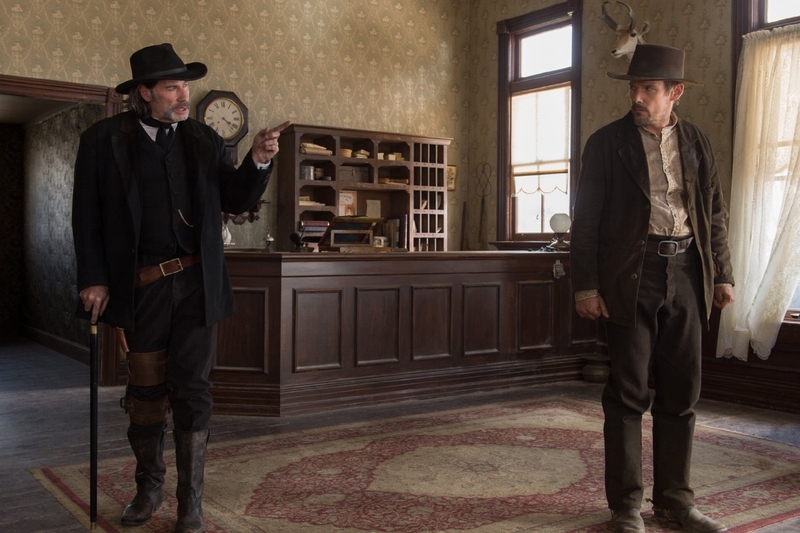 A shootout between the Marshal and Paul is made great because of the dialogue happening at the same time - not because of an intermittent exchanging of bullets. Or, take the three meetings between Paul and a drunken priest (Burn Gorman) - each time is funnier than the last. Minor character relationships feel real, characters have depth, and the words coming out of their mouths crackle. It's hard not to have a good time while watching In a Valley of Violence. Even those of you who are, traditionally, not fans of Westerns will likely enjoy this one, I think. There isn't much here to dislike, unless you have an inherent disdain for revenge stories - or can't stomach the death of an animal. Then again, you aren't supposed to like seeing a dog die; that's why the villains do the killing. So, even still, you're feeling the emotion the filmmakers want. Ethan Hawke makes for an effective lead, fitting in well with the Western setting here even more than he did a month ago in The Magnificent Seven. Maybe it's just that his character is given a little more to chew on and a little more to do, but he turned in a better performance. James Ransone and John Travolta both chew scenery like the champions they are, while Karen Gillan and Taissa Farmiga play sisters and get just enough to their characters to warrant their inclusion. Burn Gorman's priest is hilarious. In a Valley of Violence is the Western John Wick, which turns out to be a better combination than it might initially seem. Lonely hero, evil townsfolk, dead dog? You've got yourself a movie. It takes a sillier approach than classic Westerns often do, and has a couple of actors go over-the-top in terms of their performances, but the dialogue is sharp, the action is good, and the story does enough. 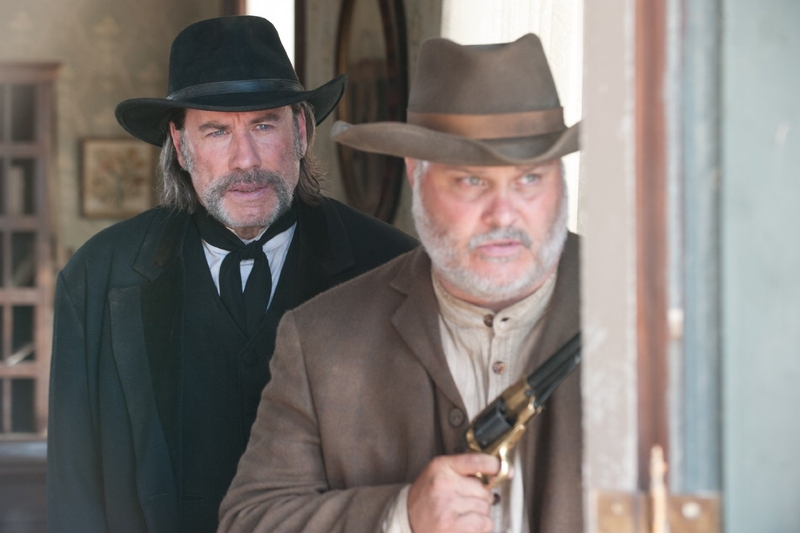 In a Valley of Violence is a fun time at the movies. 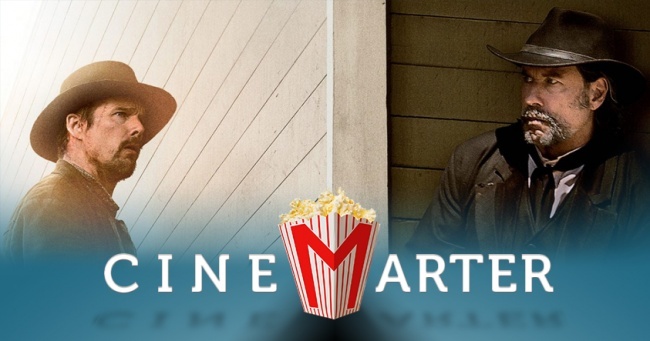 Bottom Line: A very fun Western, In a Valley of Violence is effective, funny, and works both within its genre and as a sendup of its classics. Recommendation: In a Valley of Violence is well worth watching if you want an enjoyable tale of revenge.